Marketing continues to undergo radical changes. The internet, social media platforms, and email have all changed how we connect, how we respond, and how we engage—both on micro and macro levels. And technology is going to continue to affect the psychology and implementation of marketing, particularly as it relates to artificial intelligence, also known as AI. At first glance, it would seem that AI wouldn’t have much to do with how we connect. 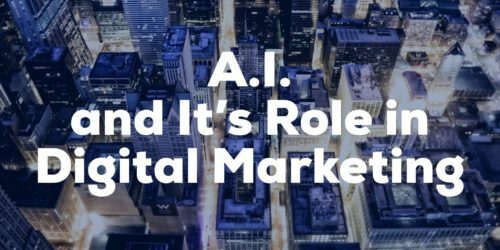 But it turns out that AI tools and best practices can help marketing work more quickly and more efficiently—and that it’s probably already part of many businesses marketing pipelines. In fact, nearly 9 out of 10 companies rely on customer management solutions that incorporate some aspect of AI. And if they’re not using AI, they’re on their way to figuring out how they can engage with it….